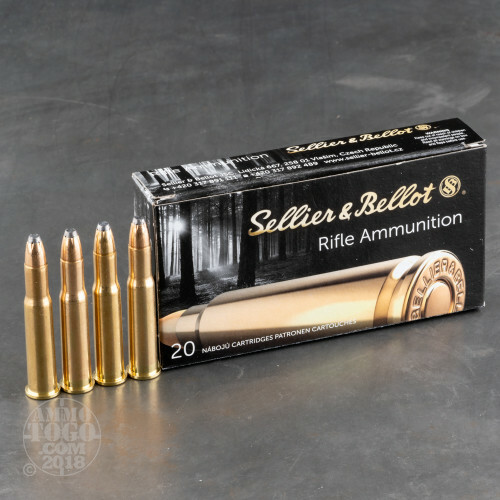 Sellier & Bellot stands for effective yet nonetheless cost effective solutions for however you would like to utilize a firearm. 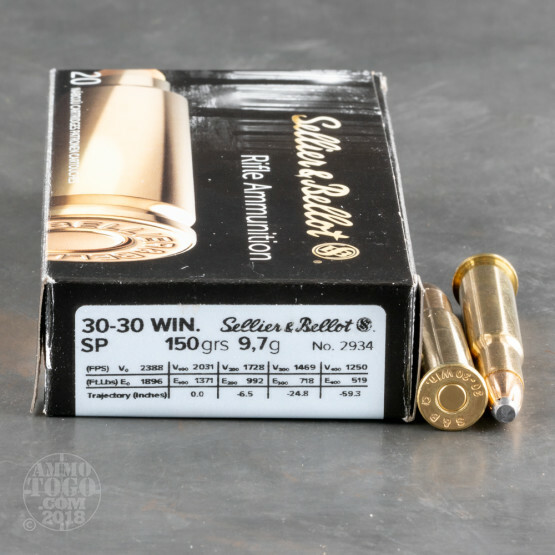 If that includes hunting for deer, then this 30-30 cartridge made by the Czech manufacturer will serve you perfectly. 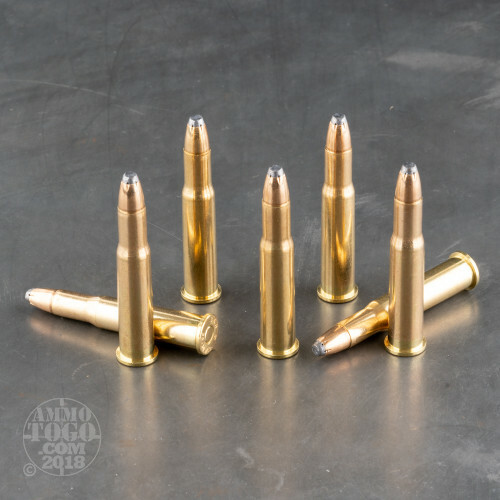 This round sports a 150 grain bullet, the lightest it’s commonly commercially available with. The bullet’s partial jacket is made of 90 percent copper and strengthened with zinc, so it’s plenty hard enough to penetrate a rugged buck’s hide so it may unleash havoc within. The jacket is further exceedingly concentric, a factor which contributes much to its superior accuracy. This bullet’s exposed core makes it able to widen significantly during penetration, a trait bolstered by its jacket which is specially engineered to control expansion. 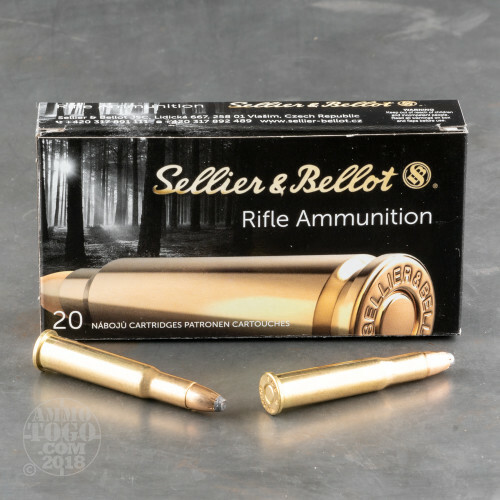 Sellier & Bellot’s factory fresh brass casing will please the discerning handloader, as will their non-corrosive Boxer primer. This round’s propellant consistently produces a muzzle velocity of 2,388 fps, so you may anticipate each shot’s performance perfectly.